Christopher Paul Curtis’s novel Bud Not Buddy tells the story of Bud, a ten year old living from one foster home to the next in Flint, Michigan during the Great Depression. Bud is tired of living as an orphan and wants to find a new place to call home after leaving his most recent foster home. More than anything else, Bud wants to find his dad, and he’ll stop at nothing to reach his goal. The only clue Bud has is the handsome man’s face on his mother’s old jazz concert flyer, so it’s going to take a lot of guts and a lot of luck to find what he’s looking for. Bud not Buddy is an exciting book with likeable characters and a touching plot. The book never got too boring and went by quickly. 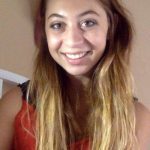 I loved the book; it’s the kind of story that you don’t easily forget and want to read again and again. 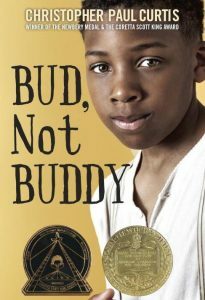 If you like history, exciting adventures, and fun characters, Bud Not Buddy is the perfect read!